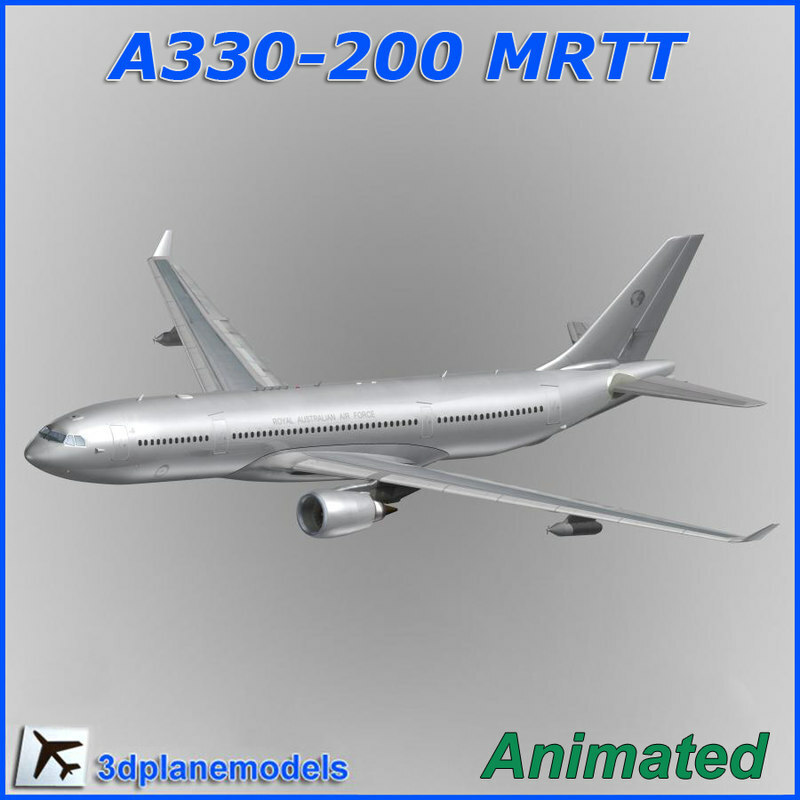 The Airbus A330 Multi Role Tanker Transport (MRTT) is an aerial refuelling tanker aircraft based on the civilian A330-200 airliner. 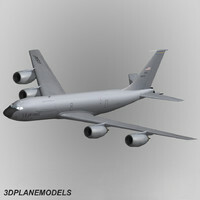 It is designed as a dual-role air-to-air refuelling and transport aircraft. 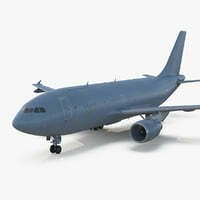 For air-to-air refuelling missions. The engines have a sperated fan disk which can be animated. 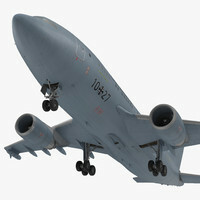 The thrust reversers are allready animated. 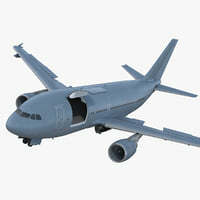 On this model all passenger and cargo doors are animated. The cabin has been 3D modelled aswell but not decorated. The cargo hold has been modelled and textured. All windows have been cutted out in detail. 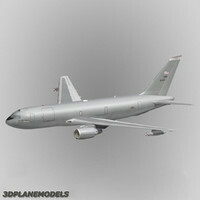 Further more we modelled for you the probes, antenna's and windshield wipers. 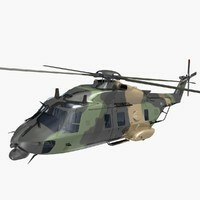 The cockpit is modelled in low quality but includes the crew seats and main instrument panels (low detail) The refuelling boom can be animated. 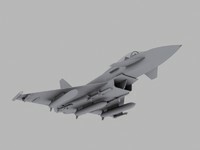 The Cobham refuelling pods under the wing are also modelled. For your convience the refuel adapter hangs out from the pods, they can be hide or unhide in the scene. 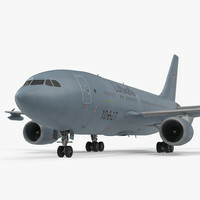 The landing gear moves like the real A330 gear. 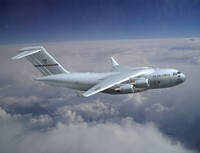 The main leg trucks are in tilted position during landing configuration. During retraction the legs are held-up to fit in the gearbay. In the meanwhile the trucks move also to a horizontal position. After touch down the trucks are horizontal and the suspensions are compressed. 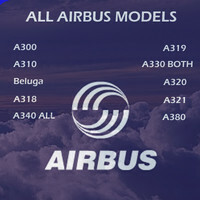 Like the real A330 the aircraft model helds over in forward direction by 1 degree when it's in a static ground situation. 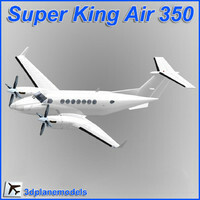 This model can also be used for flight simulation program's. Please make sure your simulator can handle the poly detail level. Animation as being seen in the preview images are only working in .max .3ds .xsi .x and .cob formats. Animations are devided into 4 situations.